On the 16th of March EDGA officially announced the second stage of the EDGA Ranking System. The process started in 2014, when discussions with the World Amateur Golf Ranking (WAGR) started, and in 2015 we implemented the Ranking for all EDGA events. From the 11th of April the Ranking will be expanded to accept scores from eligible players in Federation approved events. An email letter went to the members, the National Governing Bodies, which explained the adjustments You can read more about the expansion of the Ranking at this link. Entries for the European Individual Championship for Golfers with Disability have been very strong according to EDGA General Secretary Manon Eggermont-Cupilard who reports that 95 players have entered the event so far, even though entries are still open until 15th April. With a maximum field of 90 players unfortunately some players will not make the cut. Each member National Governing Body was allocated places that they could accept before the 15th of March and with all 39 spots taken, the remainder of the field will be determined by the lowest handicap order and confirmed on the 20th April. EDGA guaranteed that the event would accept 15 players in both the ladies and wheelchair divisions and at the time of writing we have received 12 and 13 entries respectively. For those who still wish to send in an application for entry to the European Individual Championship for Golfers with Disability, please go to our website at this link where you will find an entry form. Entries for the Scottish Pan-Disability Open Golf Championship are now open. This EDGA approved Access event, is supported by The Royal & Ancient Golf Club of St Andrews and Scottish Golf Limited. The Scottish Open will take place from Tuesday 23rd to Thursday 25th of August and is preceded by the official practice day on Monday 22nd. This 54 holes event, 18-holes per day, will be played on two courses. Golfers with handicaps of up to 18.4 will play the Montgomerie course, while the Bruce Golf Course, will host the 18.5 and above golfers playing Stableford. Entry to the Scottish Open is available to both SDGP and EDGA members. Please go to the following link for more details and to find the application form. 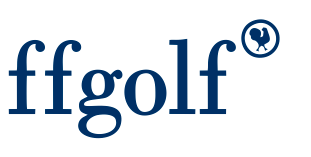 Details of the Handi-Golf French Open 2016 have been made available and can be found on the EDGA website at this link. The event will be played at the beautiful Aa Saint-Ormer Golf Club at Acquin-Westbécourt in France. After a couple of months of reflection and preparation, the EDGA Eagle has taken back to the skies. Lots has happened since the turn of year, most of which is background work that is anything but exciting, but never the less important. There are lots of quotes that promote the importance of preparation, one such famous line states, “Time spent in sharpening the axe, may well save time in swinging it” and my personal favourite is, “Preparation is the Mother of Skill”. 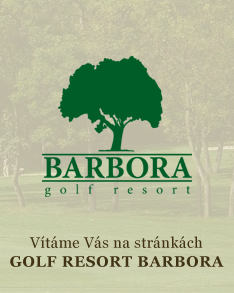 – To raise awareness of golf for the disabled. – To increase opportunities for individuals with impairment to try and consider golf as a viable sporting option. – To help golf become a Paralympic sport.